Wonder Girl Knits: A Few of My FAvorite Things! It is a rainy day here in New England-tough to get the energy together and go out and exercise so I thought I'd share a few of my favorite projects I've been working on. 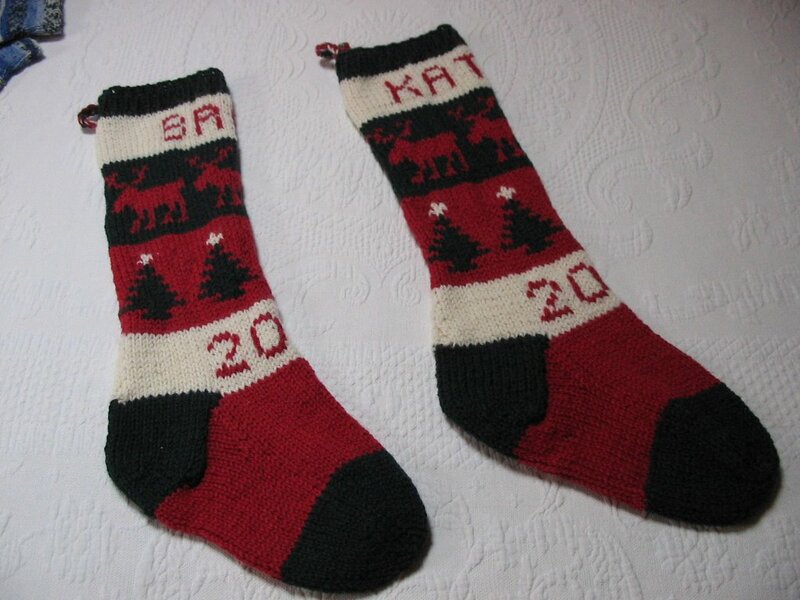 I managed to complete the two Christmas stockings for the bride & groom-the dates is 2005-thei r wed ding year. It was fun working these stockings-large needles. 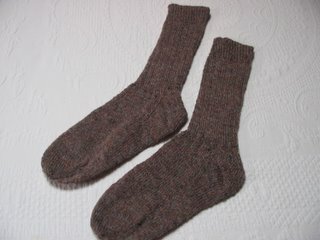 I also was able to finish two pair of socks-size 1 needles. Another project that I am very excited about is my Avon Breast Cancer Walk Project. I have committed to walk the two day event & raise $1800-along with MC Crochet. Last month I came across a great felted bag pattern & made a bag for myself-Received great reviews on it ! So I have decided to make up these bags & sell them to raise money for the cause. I'll post a photo soon. I already have 4 of them on needles! 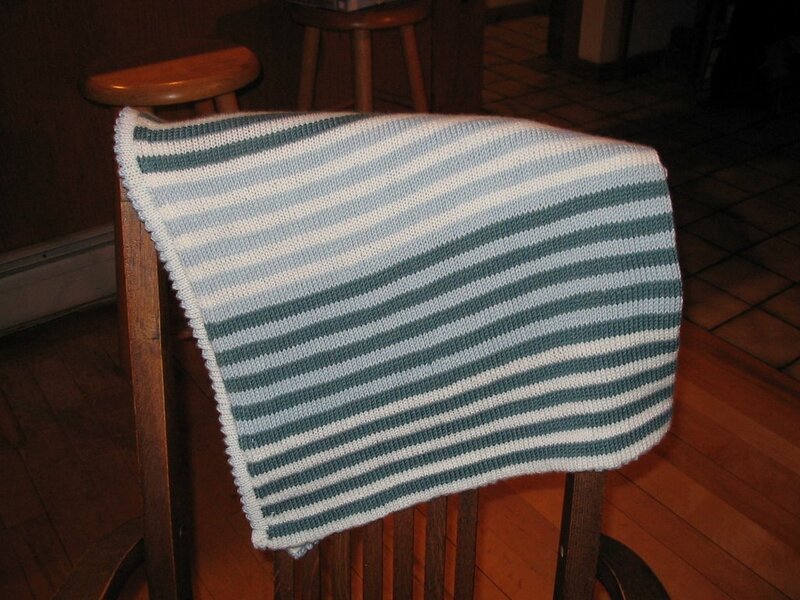 Last week I was the mad knitter trying desperately to finish a baby blanket for a baby shower this week. Here is the finished product. 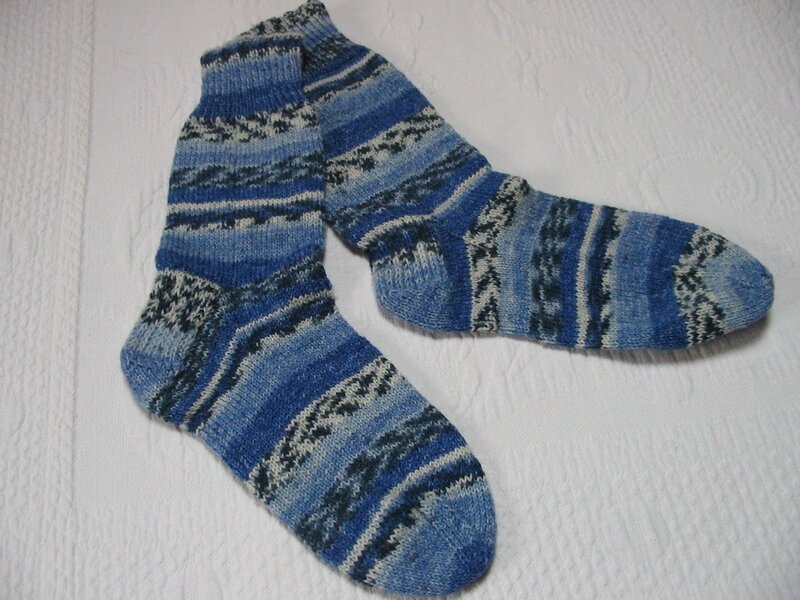 I have managed to visit several knitting shops in 2005-in Massachusetts, New York & California. There is fabulous yarn out there to satisfy our addition but I must confess I have a faavorite yarn shop. The yarn selection is beyond belief-the ideas are expansive but the best of all is the owner-Susan. She is welcoming and knows her stuff. The yarn shop is Adirondack Yarns in Lake Placid , New York. I manage to make a visit there at least once a month to increase my stash. 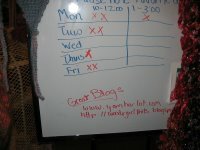 In early December I stopped by to see what was waiting for me on the shelves and I was greeted by the following sign at the front door- Now this place knows GREAT BLOGS! go superbon!!! 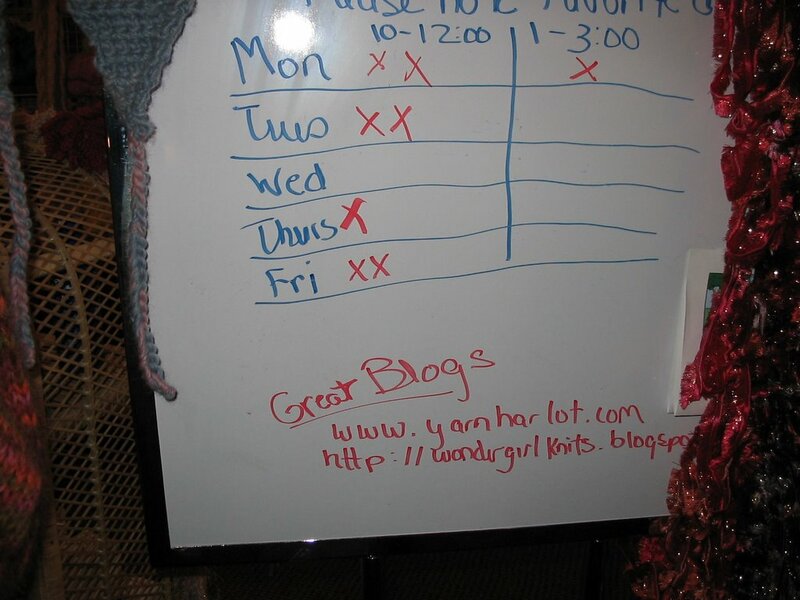 you have succesfully blogged with pictures and everything! wahoo. i'm way overdue...more to come.